John Henry Knight Jr, comes to us from Orange, TX. 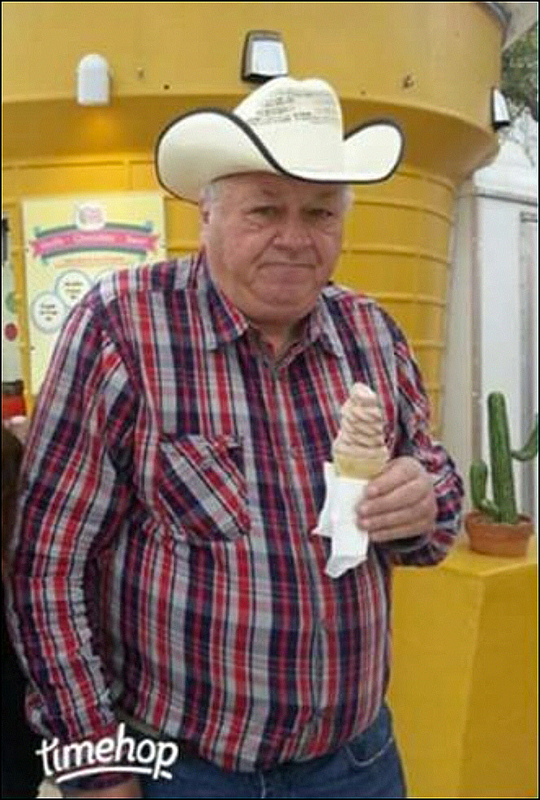 He died in November of 2018 at the age of 75 y/o. Knight enlisted out of high school when he was just 17 years old. 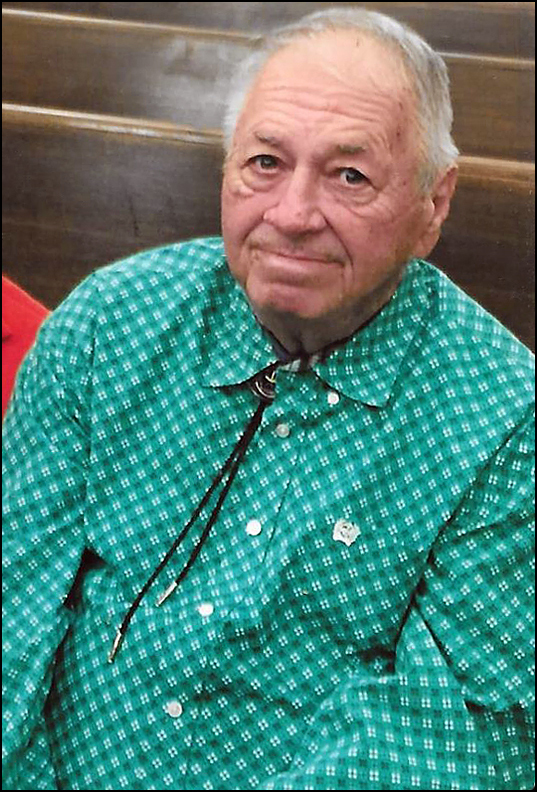 Knight never expected to live long enough to be a veteran. 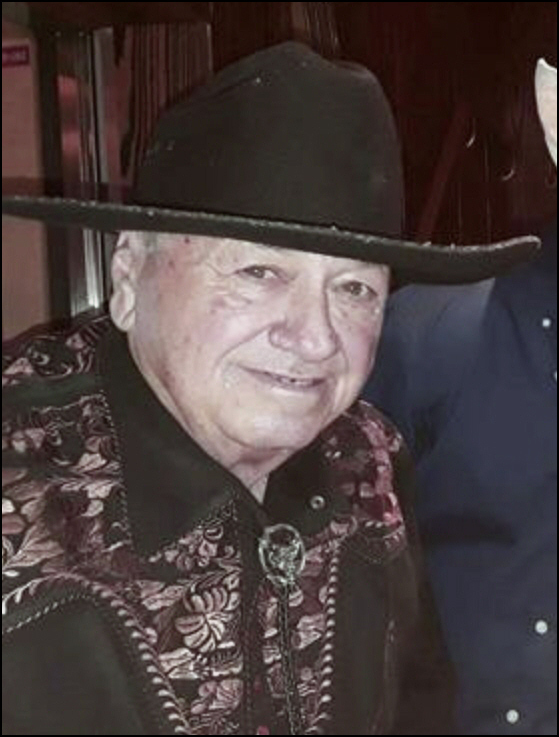 The retired iron worker says he spent two years as a Viet Cong prisoner after being shot down over Cambodia in 1962. Knight, who ultimately escaped via Thailand, was among a crew of 26 on the giant Lockheed Constellation. “I was one of two that survived,” the U.S. Navy Chief Petty Officer said. But you’ll have to take Knight’s word for it. Like the Impossible Mission Force from TV and movies, the U.S. government disavowed any knowledge of Knight’s flights over Vietnam’s western neighbor. “Denied truth,” is what Knight called it. It would still be two years before President Lyndon Johnson authorized direct U.S. involvement in Vietnam, a bloody 12-year engagement that caused division and upheaval on the homefront. “It was an out-and-out civil war that we got pulled into,” Knight said of the U.S. siding with South Vietnam against a North Vietnamese Army assisted by Communist China and the Communist guerilla group known as the Viet Cong, or Viet Minh. Knight said he was awarded the Silver Star for bravery. Knight claims to have escaped by hiding under the body of a dead Cambodian soldier. Knight died soon after this interview. 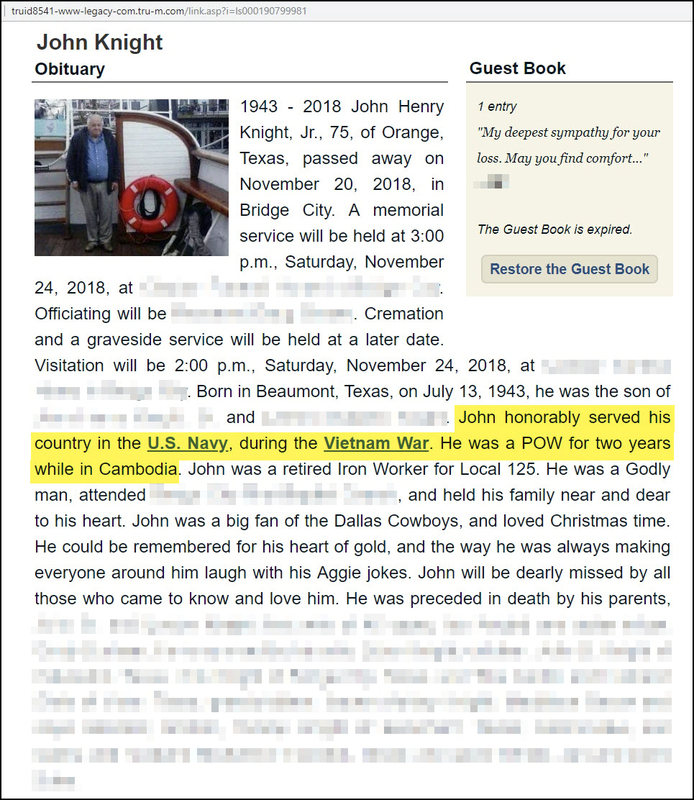 In his obituary, it states that while he served in the Vietnam War, he was a Prisoner of War (POW) and held in Cambodia for two years. 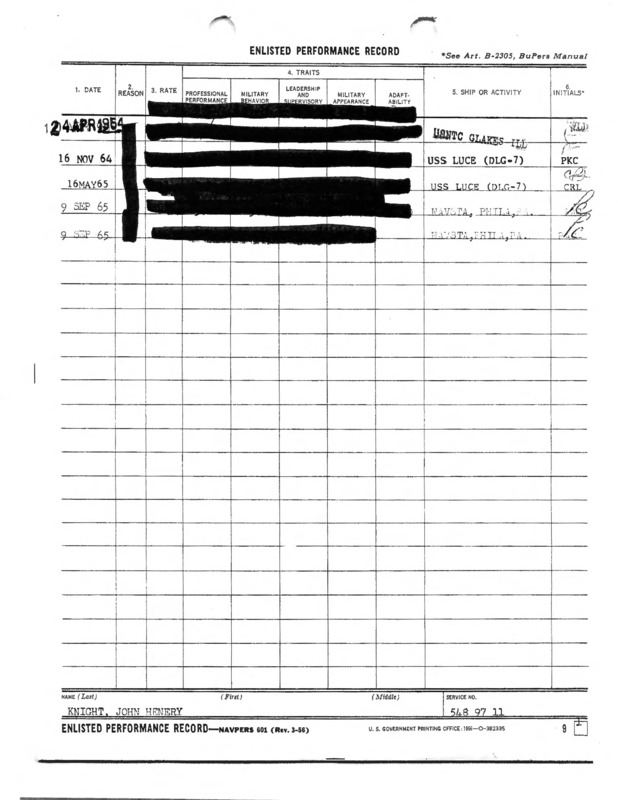 John Knight’s military records were requested through a Freedom of Information Act (FOIA) request. 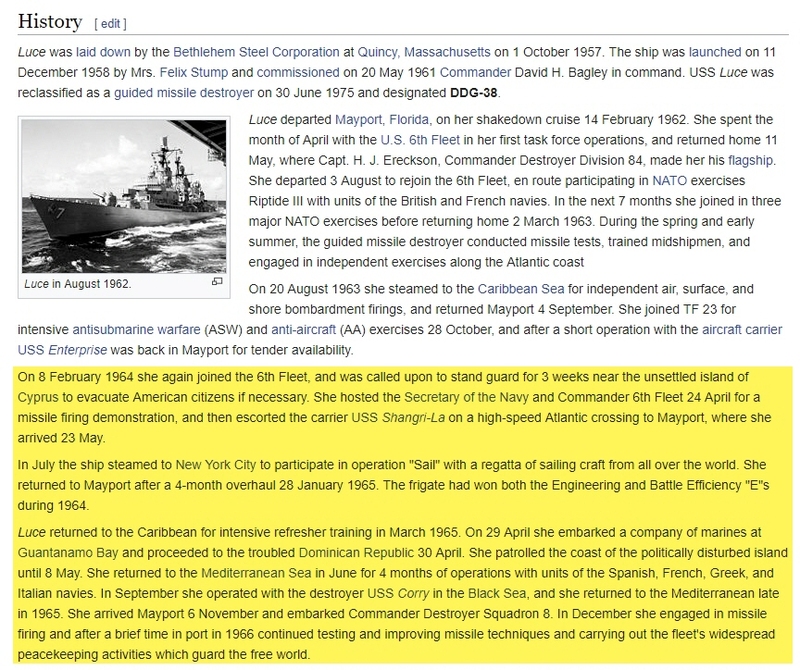 Knight served two years in the U.S. Navy and was stationed aboard the USS Luce. The USS Luce did not spend time off the coast of Vietnam during the time that Knight was aboard. All of the standard resources were checked and Knight’s name is not listed as a Prisoner of War. 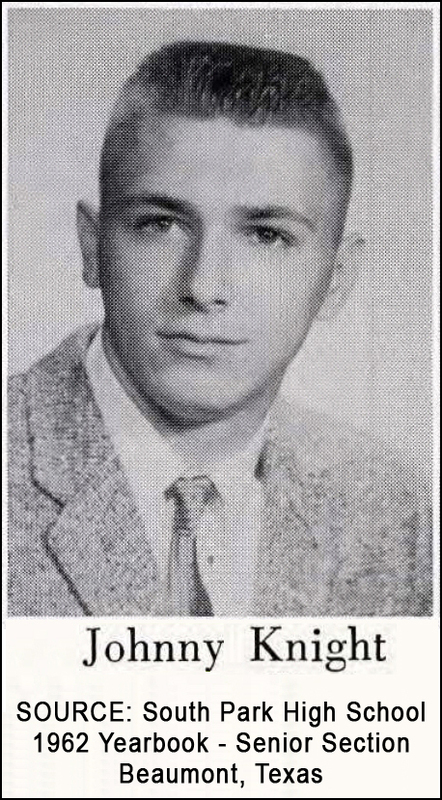 Knight was in the Navy Reserve in 1962. He was not active duty until the fall of 1963, so how could he have been shot down over Cambodia in 1962? We highly doubt it was during a weekend drill in the Navy Reserve. Knight also does not have the POW medal to support such a claim. His records do not show that he was awarded a Silver Star. Knight does not have a medal that supports his claim of being in Vietnam. Knight was discharged as an RD3 – a Radarman 3rd Class Petty Officer (E-4) which was not a Chief Petty Officer (E-7) as was claimed in the article. We cannot speak to Knight’s claim of being a Russian interpreter. 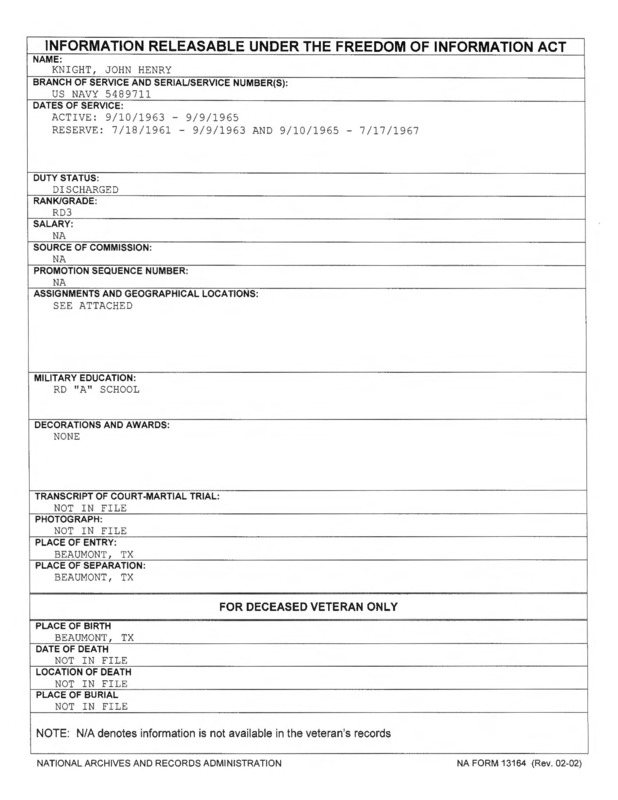 The official military records for Knight do not support his claims of military service. 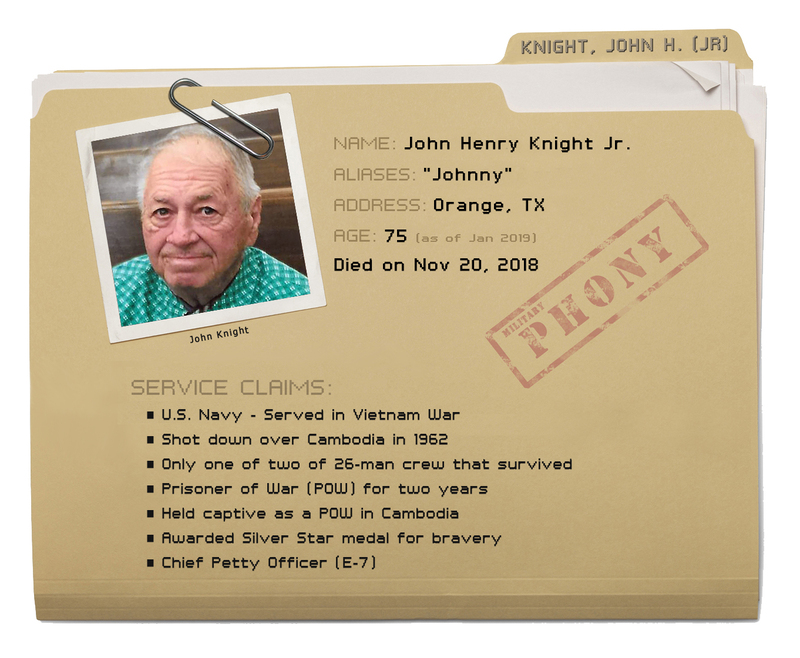 If these claims were leveraged for something of value over the years, Knight may have been in violation of the Stolen Valor Act. Unless the paper prints a correction, people that do newspaper searches in the future may associate Knight as being a POW and/or a Silver Star recipient. Knight was cremated, but it will be interesting to see what his marker will say about his military service. The Lockheed Constellation does not support a crew of 26. It only needs a crew of 5. There are absolutely NO RECORDS of a Lockheed Constellation under military control being shot down….ever. Not over Cambodia, Vietnam, Thailand, Ireland, Iceland, Greenland, or Disneyland. There was NEVER a military shoot down of a Constellation. Any “top secret” missions conducted at the time would be un-classified by now, and there would have been no reason for U.S. covert missions to have been taking place over Cambodia in 1962. This guy watched way too many Steven Segal movies. It’s impossible for Knight to have been shot down over Cambodia in 1962. The Connies the Navy used were EW aircraft (WV-2 and WV-3 later upgraded to EC-121s) that operated over the Gulf of Tonkin. Navy Connies (EC-121s) didn’t operate inland until Operation Igloo White in 1967. According to the record, one operated over Cambodia and none were shot down. Even in death, the truth comes out. 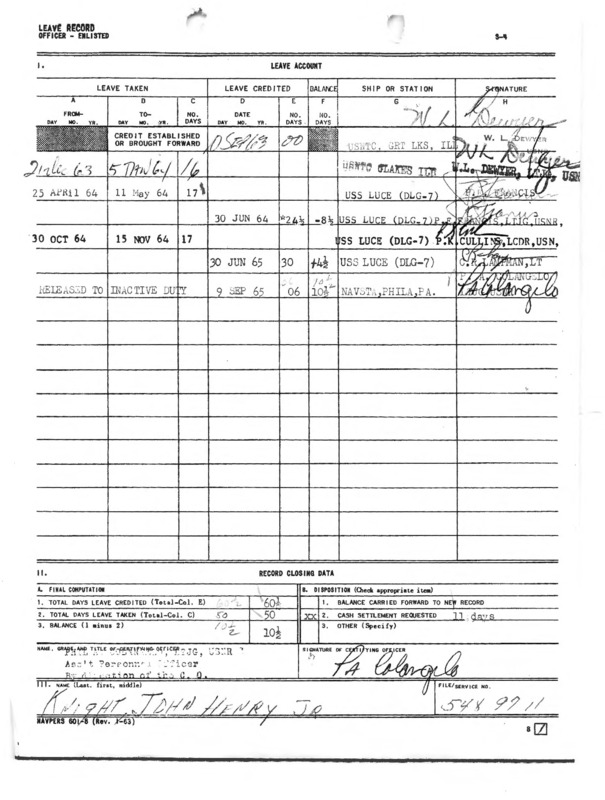 If Naval Station Rota, Spain is just an “air base” as this POS claimed, how in the hell did Submarine Squadron 16 (SUBRON 16) deploy there in January 1964. How did the USS Lafayette (SSBN 616) which departed on it’s first Fleet Ballistic Missile deterrent patrol on 4 January 1964 from Naval Shipyard Charleston pull into Rota for refit and replenishment at the completion of said patrol, then operate out of Rota for the next 4 years (1964-1968)? Are submarines rotary or fixed wing aircraft? Seriously. IMO, and I’m just an idiot civilian who never served a day, it should be a crime to claim to have been held as a POW when you were not. John Henry is dead, but I wonder how long he told that story? 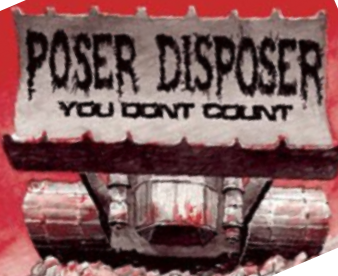 i don’t understand why so many veterans with an honorable stint of service go down this road. It’s sad.